Gerflor take Glasgow table tennis club to a new level! 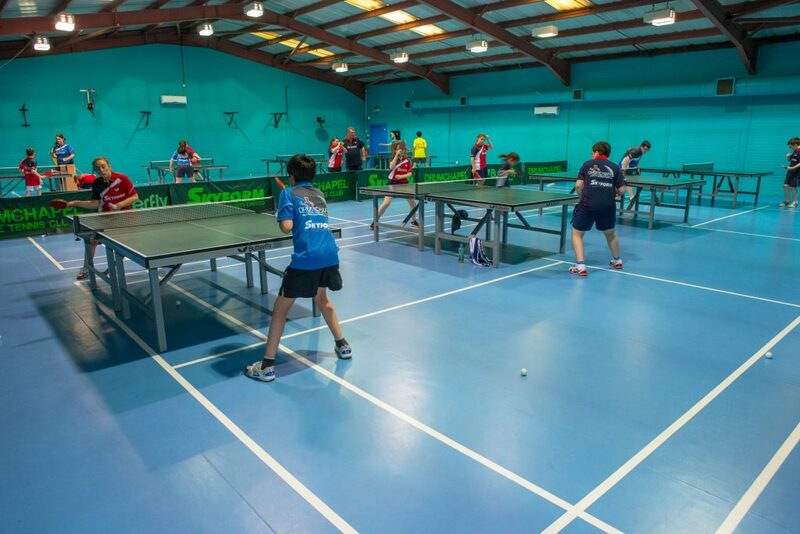 Situated in the West side of Glasgow is Drumchapel Table Tennis Club. 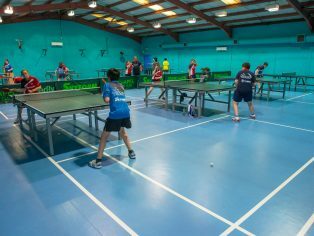 With over 300 members actively playing table tennis every week, it’s one of the biggest clubs in the UK. Head Coach, Terry McLernon MBE, started up Drumchapel Table Tennis Club twenty years ago with just one table, on a Friday night in the local sports centre. Now with its own premises the club is a neighbourhood hub, run by the community and inspiring local young people to grow and develop personally through sport. When the club needed a suitable flooring solution to overlay the existing sports floor, they turned to international flooring and finishing solutions specialists Gerflor to supply a sports flooring product that would not only deliver to the highest standards, but would also look great. The ideal choice would be Gerflor’s Taraflex™ Eco-Fit System. Taraflex™ has been used in every summer Olympics since 1976 and is available in 17 colours and two wood-effect designs. The Sport M Evolution product offers a P1 category shock absorbency 25 per cent to 35 per cent and meets the EN 14904 Standard for indoor sports surfaces. Taraflex™ is also recognised for providing durability, safety and comfort without impairing performance. The range offers greater than 45% force reduction, making it unrivalled in the marketplace in terms of offering comfort for users. Taraflex™ is versatile enough to be used in various multi-specialist applications and affordable for many new projects and refurbishments. This sports flooring solution is used within the education, community, leisure, health & fitness sectors. The Taraflex™ Eco-Fit System is an eco-friendly, free-floating installation solution that saves time and money, achieving the lowest lifecycle cost. Minimising downtime, it allows existing sports surfaces or multi-purpose floors to be left in place and overlaid; and 80% less adhesive is required so VOC emissions are also reduced. The Taraflex™ Eco-Fit system is suitable for sports, community projects and is ideal for use over existing sports floorings, where there is no risk of rising dampness such as resin, parquet and PVC. It offers a solution on new surfaces, on upper floors, over service ducts or sealing membranes, and flat floor surfaces in accordance with EN Standard 14904. Quick and simple installation means that, on average, two installers laying the floor will take two days less to complete a 1000m² sports hall when compared with standard installations that need to be secured to the floor with adhesive. Taraflex™ has a double density foam backing and as another bonus, it’s environmentally friendly. Learn more about Gerflor solutions, ask for a free sample or contact Gerflor to speak to a specialist today by calling 01926 622 600, emailing contractuk(Replace this parenthesis with the @ sign)gerflor.com, or visiting the website for the latest innovations.